How does a spooky plant lady get her greens ready for ghosts and goblins? With an easy DIY Halloween pumpkin hanging basket. No macrame lessons necessary for these pumpkins all you need is a ready made jute plant hanger and some black fabric dye. Just add a faux pumpkin planter and you are ready! Like more of a challenge with your craft projects? 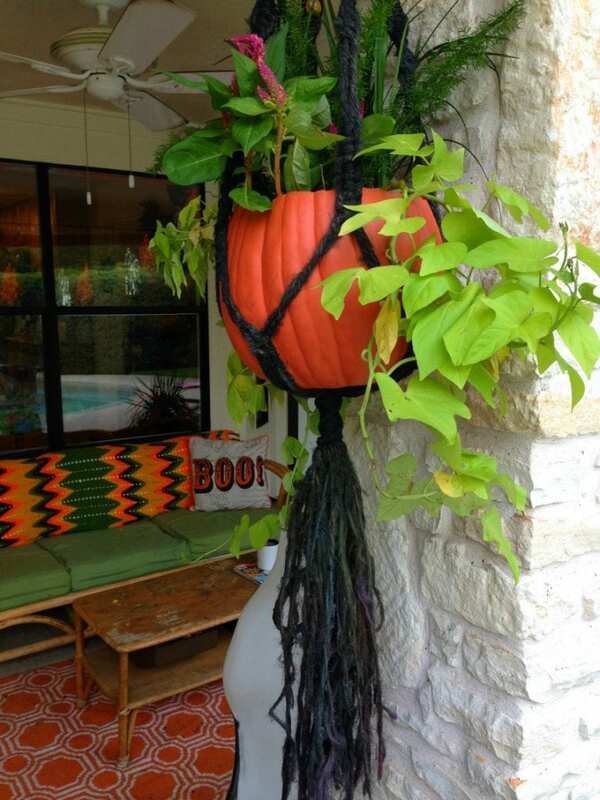 Check out How to Make a Macrame Hanging Planter for Halloween over on DIY Network. You porch or patio is an extension of your home. If you are going to decorate like I do you need to go BIG or go home. 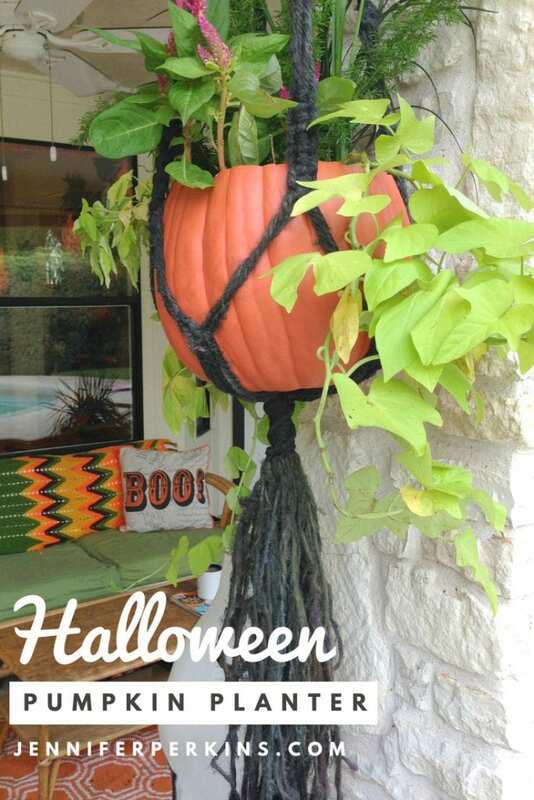 Greet guests (or trick-or-treaters) at the door with these adorable pumpkin hanging baskets. Sure you can make your own DIY Macrame Pumpkin Hanging Planters, but sometimes it is just easier to give something ready made a Halloween makeover. Jute hanging planters can be found at home improvement stores in the garden department, online or many stores have them on clearance this time of year. 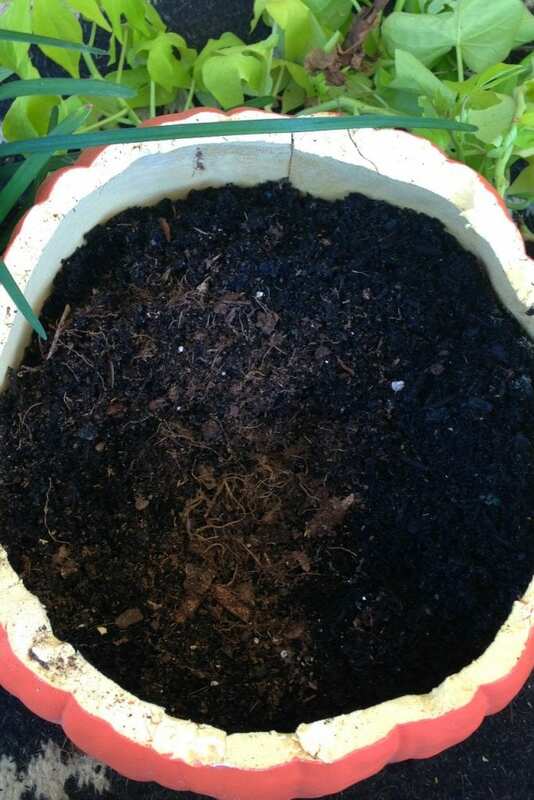 This is not my first time at the giving a jute hanging planter a dye job rodeo. Check out this ombre summer time version of the same plant hanger. This is the same idea except with a Halloween spin. Follow your dye package instructions. Mine said to first wet the planter. 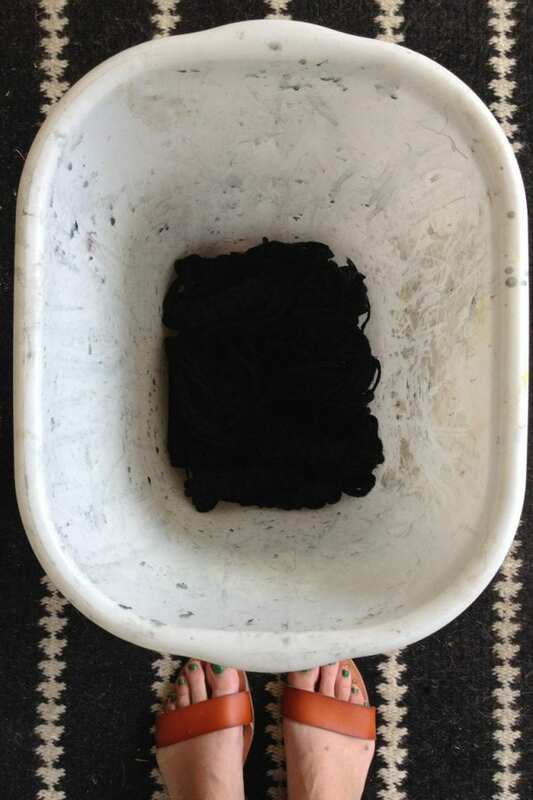 I also used an old trash can as my dye vat. Soak jute planters in dye. 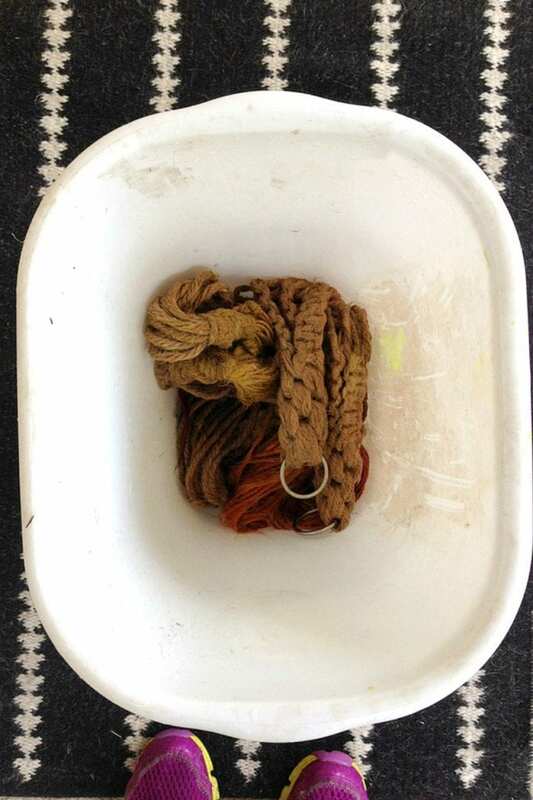 Most dye will call for a few hours, but jute can be tricky to dye so I say go for 24 hours. After that rinse until the water runs clean and set aside to dry. Using your craft knife remove the tops of your fake pumpkins, they will be hollow inside. You could use real pumpkins, but they would not last very long. Check out these Festive Fall Pumpkin Planters for more Halloween ideas. Just like you would fill any other hanging basket fill up your new hanging pumpkin planter. Some gravel for drainage, potting soil and then plants. I’m always a fan of sweet potato vines because I love the striking green color and the way they trail. Front porch, back porch, inside the house or out – these hanging pumpkin planters are spooky and chic all at once. Will you be making a set for your house? 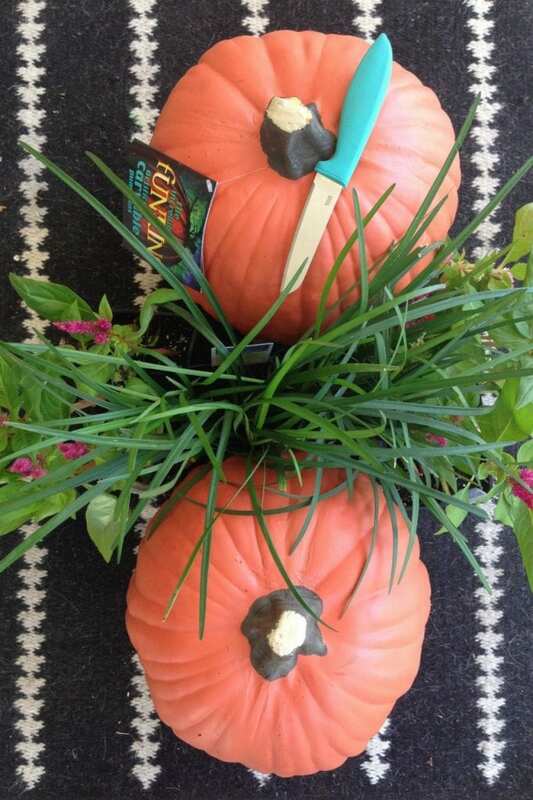 Want more Halloween horticulture ideas? Keep reading! 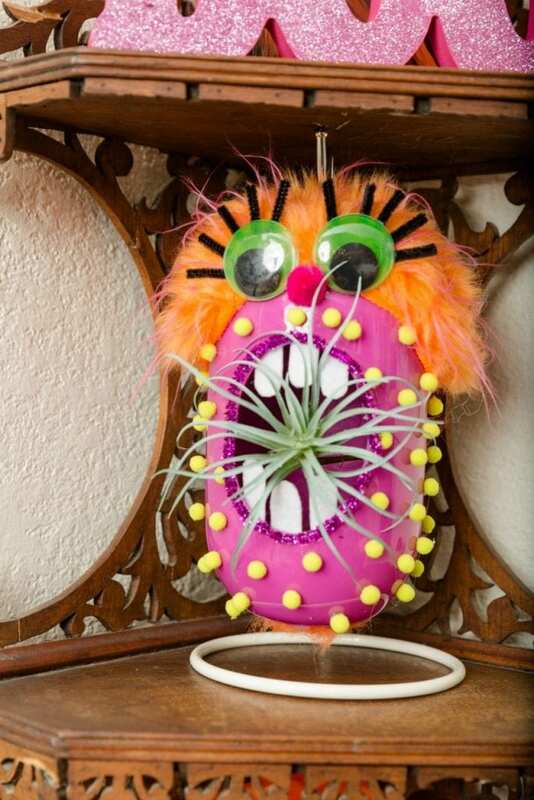 DIY Monster Planter – How cute are these pompom covered creatures that also act as a spooky air plant hanger! Teal Pumpkin Planter – Pumpkins come in all shapes and colors – even teal. 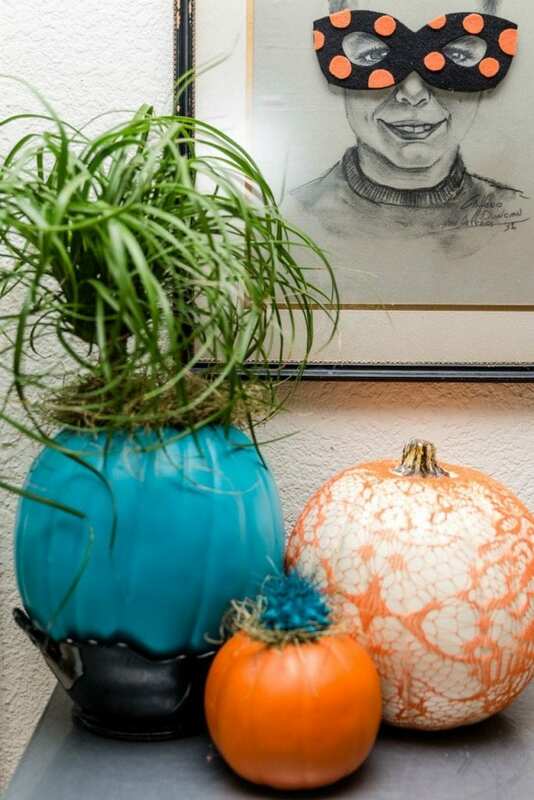 Just like you carved an orange pumpkin into a hanging planter try making a teal one into a table top plant. 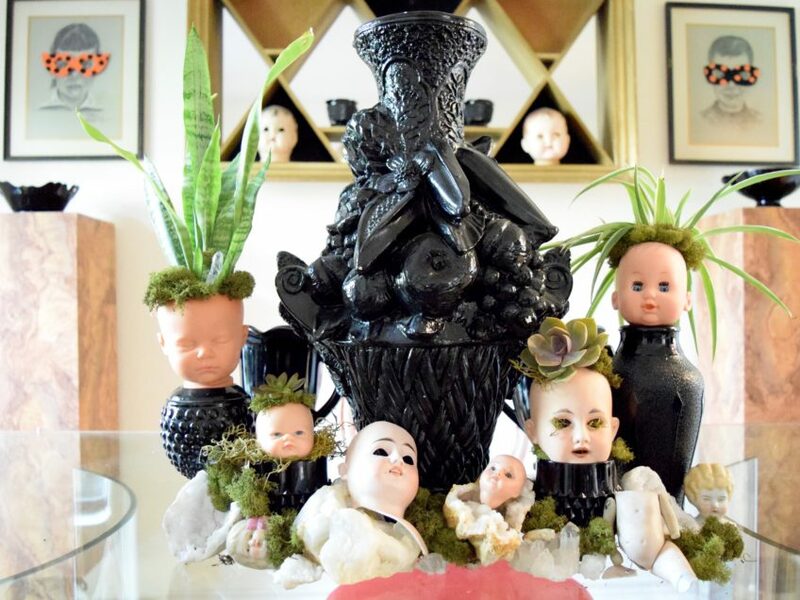 DIY Creepy Doll Head Halloween Planters – I never thought a box of broken doll parts would come in so handy. Love the way these dolls look as planters, ornaments and a wreath. Posted September 25, 2018 & filed under Crafts, Halloween, Holidays, Plant Crafts.